For those of us who have never been to Japan, we can only picture the beautiful vista of the Land of the Rising Sun with the help of popular films such as Memoirs of a Geisha, Babel, The Fast and the Furious: Tokyo Drift, Lost in Translation, and The Last Samurai. For me, it was Memoirs of a Geisha which truly began my love affair with Japan. (Although, Tom Cruise did give it his best effort!) A hauntingly beautiful story, love, betrayal, hope, the mystery of the Orient: despite the controversy of a Chinese actress portraying a Japanese geisha, I personally feel that Zhang Ziyi was perfectly cast. To top all of this off, the viewer is treated to a beautiful love letter to the country of Japan, in the form of stunning cinematography. Truly, this is the film that inspires my desire to travel to Japan. However, as I was researching around the topic of travel in Japan, I discovered that the world’s love affair with this country is not a recent phenomenon. In an earlier blog, I mentioned that Van Gogh, in the 1880s, discovered the Japanese ukiyo-e wood block prints, which he soon began to collect and reproduce for his own paintings. 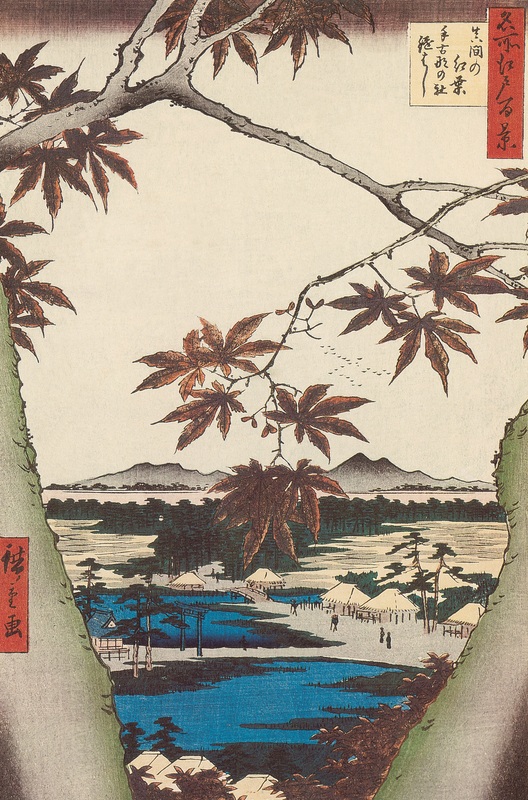 Let us look for a moment at the artist who inspired these paintings: Utagawa Hiroshige. The original poster-boy (literally) for Japanese tourism, his paintings showcase the travels which he undertook across Japan. Filled with detail, delicate brushstrokes, and occasionally a dash of humour, these paintings are what advertisements for travel agencies (ahem, Thomas Cook) should aspire to be like. Hiroshige’s love for his homeland is evident and, what’s more, he has mastered the ability to stir the same passions in non-natives. This is the characteristic which is shared by Rob Marshall, Zhang Ziyi, Michelle Yeoh, and Ken Watanabe (amongst the rest of the cast and crew of Memoirs) who gave us the live-action version of Hiroshige’s homage to his homeland. 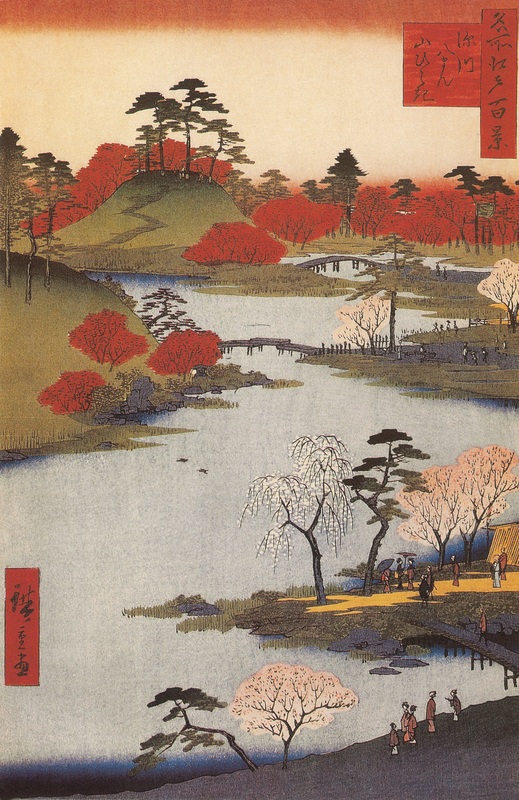 So, watch this space… I may yet be embarking on my own pilgrimage to Japan, all thanks to Memoirs of a Geisha and the stunning artwork of Hiroshige! For those of you, like me, who may find Japan just a trifle too far for a day-trip; why not peruse the works of Hiroshige in the Pinacothèque de Paris? The exhibition Hiroshige, the Art of Travel is running until the 17th March 2013, so there is plenty of time to enjoy Paris in the springtime (or before), and take in a bit of Japanese culture at the same time! 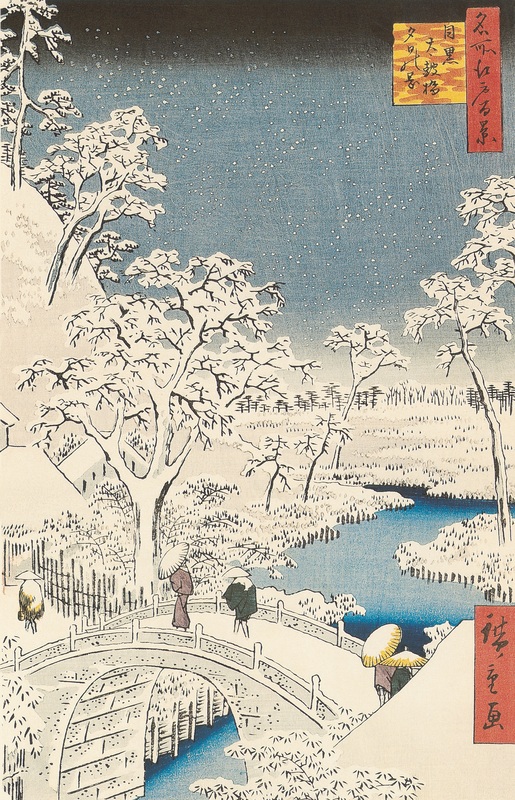 Otherwise, curl up with a good book: Hiroshige, by Mikhail Uspensky to be precise! Or, if you would simply like to know more about the art of ukiyo-e and would like to broaden your horizons, try out Hokusai by Edmond de Goncourt.